Jesus was returning to his Father, but for 40 days he explained to his disciples the full significance of his life among them from the scriptures, and shared with them what their mission would now be. After this he was taken up from them into heaven among the clouds. We see this event in Acts 1:9 from the perspective of the disciples, but in the book of Daniel, many hundreds of years earlier, we were given the view from heaven of this same event. What does it mean to be creative? Is creativity reserved only for musicians and visual artists? In the second part of our interview about the creation of “Shadow of the Cross,” Jason, Melody, and Evan talk about how our creative God has given all of us a measure of creativity, no matter where our gifting is. Melody also shares about how she created the artwork that was used for the “Shadow of the Cross” album cover. The following is the introduction to the book “Saving Christmas: How God Kept His Promise Through the Generations,” written by Pastor Mike and Travis McSherley. You can purchase the book in the RBC Bookstore, or order it online and have it shipped to you using the link below. We hope it will be a blessing to all of you. This book tells the story of the war on Christmas. We know what you might be thinking: Hasn’t enough already been written about how everybody says “Happy Holidays” instead of “Merry Christmas” these days? It’s true that we tend to use the phrase “war on Christmas” to refer to our cultural reluctance to attribute any spiritual significance to December 25. Though that may be an unfortunate trend, it is not what this book is about. And it is certainly not what the Bible is about. The real war on Christmas has much greater stakes—universal stakes, eternal stakes. It is a war that takes place on the grandest of scales between the kingdom of light and the kingdom of darkness. And it is a war that has already been fought—and won—by God Almighty Himself. And where can you find the story of Christmas in the Bible? To answer that question, your mind might go to Matthew 1 or Luke 2. “Today in the town of David a Savior has been born to you; he is the Messiah, the Lord” (Luke 2:11). No doubt about it—those are wonderful and precious passages of Scripture on which to reflect when we think about the coming of the Lord. But what about Genesis 3? Joshua 2? Micah 5? The books of Ruth or Esther? What if we told you that the entire Old Testament is telling the story of Christmas? That Christmas shows up on nearly every page? That each of the narratives is a link in a chain that reaches from Eden to Bethlehem? That the focus of Old Testament history was a war fought because somebody had to save Christmas? This book provides an overview of that war, from beginning to glorious end, and the good, bad, and ugly people whom God used along the way. Over the span of thousands of years, God employed the most unlikely individuals and the most improbable circumstances to ensure that a baby would be born to a virgin in Bethlehem one holy night. He called murderers, liars, harlots, kings, queens, peasants, Jews, and Gentiles into His service—all sinners, you might notice. He made use of dreams, famines, plagues, and even governments. He used faithful people and faithless people. Because somebody had to save Christmas. That’s what we celebrate during this season—not just the birth of the Messiah, our Savior, “God with us,” but also ultimate victory in the greatest war ever fought and the fulfillment of God’s promise to redeem His people from the shackles of sin, death, and hell. If you are a follower of Christ, we hope that this book will inspire you to worship the one and only King as you see how His sovereign hand has worked in every detail of every story to provide the way for salvation and eternal life. If you don’t yet believe in Jesus, our prayer is that your spirit will be stirred as you learn about the incredible and dramatic events that led to Jesus’ birth. And may all of us be amazed by God’s power and love as we consider the price that was paid to save Christmas. This past Sunday, Jim Supp was introduced as the new RBC Pastor of Fellowship Groups, a position that will oversee the Shepherd Group, Men’s, and Women’s ministries. Jim will officially begin in this role on June 4. If you weren’t able to attend services on Sunday, you can watch the announcement at the video below. Please welcome Jim as you see him around the RBC campus! How many times have you heard something like this, “God first, others second, I’m third,” or, “God, country, family.” Maybe you’ve even said something similar or worn the t-shirt. I know I have. At first glance it seems like a godly enough thing to say and it sure feels good to think we have our priorities straight. Unfortunately it is not at all what God’s Word teaches us. God’s place isn’t first in a list of other lower priorities. He is the center and essence of every priority. We need to make sure that our children are not subjected to this wrong thinking. Whenever love for God is mentioned in scripture it is with all encompassing phrases like, “with all your heart, soul, mind and strength” or “in all your ways acknowledge Him,” or “one God and Father of all, who is over all and through all and in all,” or “all things have been created through Him and for Him.” There is no sacred and secular for the Christian. Now matter what we do, we are called to do it as a representation of Christ. What would Jesus be like as a schoolteacher, a lawyer, an IT professional, or a manager? What would Jesus be like as a parent, a son or daughter, a husband or wife, brother, or friend? In all our ways, in all our decisions, in all our activities, in all our roles and thoughts, acknowledge Him. This is not an acknowledging in the shallow English meaning either. The Hebrew word means to know intimately by experience. Search your heart this week. Are you knowing God intimately by experience in all your ways? BIG IDEA: Make God the center of everything and He will guide you on the best path. Ask God to help you give Him control of every part of your life, and to trust His guidance. What does it mean to acknowledge God in all your ways? How do you make Jesus the center of your life? What things do you let take Jesus’ place on the throne? Have a family sharing time to talk about when you should be seeking God’s guidance. Make a list of your gifts, talents, possessions, and hobbies. How can you dedicate each of these to the Lord? Starting this Sunday (March 5), we will be opening up a few extra parking spaces during the second service to help ease congestion and make sure everyone has a place to park. These spots are in the grass area behind the side parking lot (to the right of the main entrance). You can watch the video below to see how to access them. Thank you for your patience as we continue to think and pray about ways to improve the parking experience. This month, we have the opportunity to reflect on the sanctity of human life. And that is certainly a topic worthy of reflection. Such a phrase represents far more than just a political issue or a cultural debate. Rather, it is a reminder of the value placed on us by God Himself. All life is miraculous and amazing, a dazzling display of the Creator’s intricate design and handiwork. But human life is uniquely precious, significant, and sacred. How do we know that? Because Scripture, from beginning to end, reveals the profound esteem given to Adam’s descendants. Human life is sacred because it is made in the image of God. “So God created man in his own image, in the image of God he created him; male and female he created them” (Genesis 1:27). Human life is sacred because it is elevated above the rest of creation. “Fear not, therefore; you are of more value than many sparrows” (Matthew 10:31). Human life is sacred because God takes special care to craft each one. “For you formed my inward parts; you knitted me together in my mother’s womb. I praise you, for I am fearfully and wonderfully made” (Psalm 139:13-14). Human life is sacred because it is eternal. “Surely goodness and mercy shall follow me all the days of my life, and I shall dwell in the house of the Lord forever” (Psalm 23:6). Human life is sacred because Christ was willing to pay an inexpressible cost to redeem it. “But he was pierced for our transgressions; he was crushed for our iniquities; upon him was the chastisement that brought us peace, and with his wounds we are healed” (Isaiah 53:5). Human life is sacred because all of heaven celebrates when a sinner repents. “Just so, I tell you, there is joy before the angels of God over one sinner who repents” (Luke 15:10). Human life is sacred because it is made for God’s glory. “Everyone who is called by my name, whom I created for my glory, whom I formed and made” (Isaiah 43:7). Human life is sacred because God loves it beyond measure. “For God so loved the world, that he gave his only Son, that whoever believes in him should not perish but have eternal life” (John 3:16). A question that may be at the forefront of our minds this month is: When does life become precious, sacred, and valuable? Is it when we’re holding a crying newborn at the hospital? Right before birth? When we see little arms and legs moving on an ultrasound? When we hear the first heartbeats? At the moment of conception? Or maybe long before? “Blessed be the God and Father of our Lord Jesus Christ, who has blessed us in Christ with every spiritual blessing in the heavenly places, even as he chose us in him before the foundation of the world” (Ephesians 1:4). Science may be able to speculate about when life “begins,” but only the Creator of life can assign it true worth. And He has assigned it immense worth. Incomprehensible worth. So this month, and every month, we reflect on life. We marvel at life. And much more so, we marvel at the One who formed us. The church is called to be salt that preserves the world from decaying and light that cuts through darkness. The salt sets the stage for the light. How would you describe the mission of the church, in one sentence? Read Matthew 5:13-16. What does it mean for believers to be the salt of the earth? What does it mean to be the light of the world? Read John 3:16-21. How does this passage, with its imagery of light and dark, describe the hopelessness of man’s condition? What is the hope-filled solution the Lord provides? Why do most religions offer a performance-based path to salvation? What is Scripture’s response to someone who believes they must work to earn God’s favor? Why must we act like “salt” before people will be receptive to our “light”? How might that affect your day-to-day life? What fears or doubts keep you from sharing the Gospel? What truths from Scripture might help you overcome those fears? Spend some time praying that the Lord would help you to be salt and light to those around you. As followers of Christ, we don’t go to church. We are the church. Prior to hearing this message, what came to mind when you heard the word “church”? Has that changed at all now? What passages of Scripture come to mind that describe the design, purpose, or mission of the Church? What does it mean that we, as followers of Christ, are the Church? Why is it so important to get these terms right? Have you, or anyone you know, left a local church for any of the reasons that Pastor Mike described? What are other reasons (right or wrong) that someone might leave? What does it look like for the truth to bring conviction rather than guilt? How would you respond to a friend who said he was leaving the church because he thought it was boring or irrelevant? What if he thought that the church was full of hypocrites? Read Romans 6:15-23. What is the difference between how the world defines “freedom” and how Scripture defines it? How does Jesus give freedom to His followers? What should our lives look like in light of that freedom? How should it affect our interactions with unbelievers? Spend some time praying that your group, and all the believers at RBC, would truly reflect and honor Christ, as His Body. Pray for the unbelievers in your lives, that they would put their faith in Christ and become members of the Church. 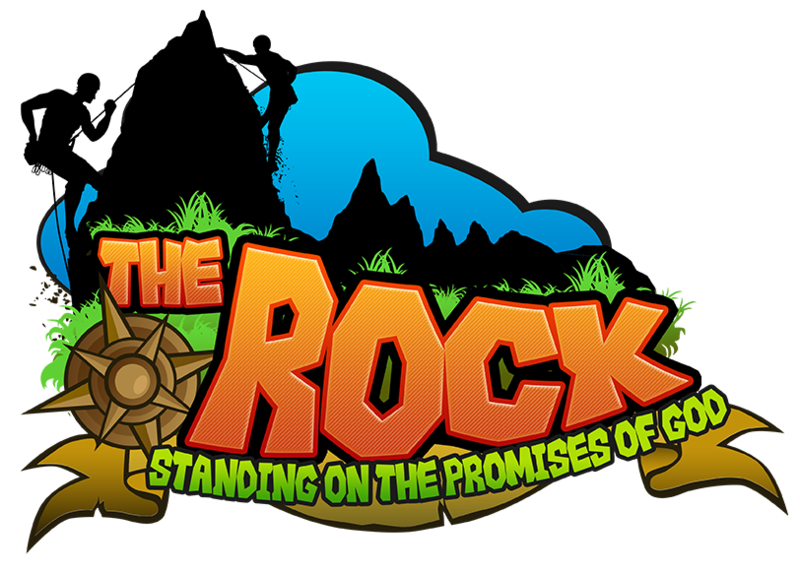 Moses struck a rock in the wilderness in order to bring water to a thirsty people. Jesus, the true Rock, was struck so that lost people might drink the living water and never thirst again. What was something in this message that encouraged or challenged you? What was something that you hadn’t thought of before? What does it mean that Israel was “putting God on trial” in the wilderness? Who was really on trial? Do you ever find yourself doubting God that way? How does the Spirit convict you or comfort you in those times? What passages in Scripture help you? Read Exodus 7:1-7. How does this narrative foreshadow the Gospel? What do the rock, the staff, and the water point to? Tim Keller has said: “If there were no ultimate judge, what hope would there be for the world? But if there is an ultimate judge, what hope would there be for you and me?” What does this mean? How does the Gospel reconcile this tension? At the beginning of this message, Chris quoted an atheist who questioned God’s goodness and claimed that his life was better without God in it. How might you respond to him? Spend some time in prayer seeking God’s help in trusting Him more, and thanking Him for placing upon Christ the judgment that we all deserve. Integrity is the heart of leadership, and the church must stand firm in integrity. The church is the only hope for the world because the church carries the message of the gospel. What was one thing from this message that encouraged your faith? What was one thing that challenged your thinking? What does it mean that men and nations suppress God’s truth? Why do they do it? What are some of the consequences that can result? Pastor Mike noted how the culture tends to use words that soften the seriousness of sin — like exchanging “choice” for abortion and “cohabitation” for fornication. Can you think of any others? Why are the terms we use important? How does seeing ourselves, and each other, as being made in the image of God affect our understanding of human life? How might understanding that all men come through the line of Adam change our view of race? Read Psalm 15. How does this kind of integrity set God’s people apart from the world? Who are some people in Scripture who exemplify this passage? Do the verses of this chapter reveal any areas where you feel a need to grow? If God brought revival to our nation, what might it look like? Pray that believers would come together and cling to the truth of Scriptures, starting with the members of your group, that the world may know that God sent His Son as a payment for sin. For security reasons, we aren’t able to share this week’s message online. What was something that encouraged, challenged, or convicted you about this message? How have the recent events in our nation affected the way you pray? What are some weaknesses you see in your prayer life? Do you find it difficult to truly pray “not my will but Thy will be done”? Read Luke 22:31. What is your main desire or prayer when it feels like you are being sifted like wheat? To be safe or to be faithful? How could Jesus’ words in this passage speak to you during those times? Do you find yourself surprised by the evil in the world? How can we encourage each other to love and good deeds in the midst of evil? Read Hebrews 12:1-3. Why did Christ go to the cross, according to this passage? How do the truths of these verses help us as we walk through a fallen world? What does it look like to pray “in the Spirit”? Spend some time praying for God’s will to be done in America and around the world. Pray for the work of RBC missionaries, and pray that the Lord would show you how he wants to use the members of your group. Pray to ask God what He would have you do, in His will, and then be willing to sit quietly and wait on the answer. We don’t drift toward the truth; we only drift away from the truth. So we must cling to Jesus, who is the truth. What was one thing you found particularly interesting, insightful, helpful or difficult to understand from this Sunday? Why does Scripture seem to spend so much time talking about spiritual rescue, but not as much about physical rescue? Why do we so often spend time focused on rescuing people who are physically wounded, but not spiritually wounded? What are the differences between physical wounds and spiritual ones? What are the differences between physical and spiritual consequences to our actions? Read John 8:27-31 and John 14:1-7. What does it mean that Jesus is the truth? How does the truth set us free? Why is it so easy to drift toward sin, toward the world, or toward untruth? Have you seen this at work in your own life? Have you ever “rescued” a fellow believer who was drifiting from the truth? Has anyone ever rescued you? What are some practical ways that we can go after a brother or sister whom we see drifting in his or her walk with the Lord? What passages of Scripture come to mind that can guide us in this? Spend some time in prayer, thanking the Lord for being the true Rescuer and offering eternal life and salvation to those who believe in Him. As we come to the end of our study in James, what are some things that have encouraged or challenged you throughout the book? As Jacob discovered, even seemingly small sins can lead us far away from the Lord. Yet in His mercy, He will “wrestle” with us to break our self-reliance and point us back to His glory. If you could create your own tagline or summary of this message, what would it be? How do “small” sins send our walk with the Lord so far off course? Why will the consequences of sin always be greater than the momentary pleasure? Read Genesis 32:22-32. Who is the “man” that Jacob is wrestling with all night? If the man was powerful enough to be able to wound Jacob’s hip simply by touching it, why was Jacob allowed to overcome him? What does it mean for us to “wrestle” with God? Are there areas in your life where you are trying to scheme your way to your own will, rather than pray for God to bring about His will? What skill or gift or talent do you find yourself relying on instead of God’s strength? Where are you seeking your own glory instead of His? Can you think of a time in your life where it seemed as though God was placing an obstacle in your path to break you of your self-confidence? How has your view of the Patriarchs changed as a result of this series? What are some of the main lessons you’ve taken from the lives of Adam, Noah, Abraham, Isaac, and Jacob? Deception creates obstruction. And we are ourselves deceived when we seek after what we think will fulfill our hearts’ longings, rather than Christ alone. What was one piece of this message that especially challenged or encouraged you? What does it mean that deception creates obstacles? How does deception create physical or circumstantial obstructions? How does it obstruct our walk with the Lord? How did Jacob’s deception create obstacles? How did Laban’s? Read Genesis 29:16-35. How does Leah represent the longings of our hearts? How does Rachel represent the ways we try to fill those longings? Is there a hole in your heart that you are trying to fill with something other than Jesus Christ? What are you striving after right now that you believe would fulfill you, if you achieved it? How is Jesus the “true Rachel”? Spend some time praying that He would help you desire Him more than anything else, and praising Him as the One worthy of our desire.